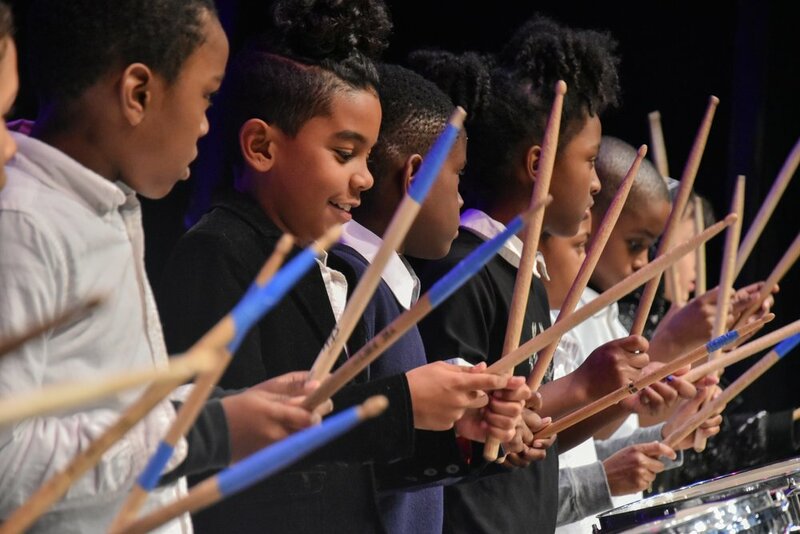 Brooklyn's best After School Program, Arts Reaching Youth (ARY), offers a range of creative options with classes in music, dance, theater, and the performing arts, along with homework support and healthy snacks. Our location in Brooklyn's cultural district makes us convenient for families with kids in grades K-5 from around Brooklyn. Appropriate for children ages 5 to 11 years old. When students participate in ARY they have the opportunity to join in group music classes, dance classes, join ensembles such as Rock Band or the Orchestra, or even develop their Musical Theater skills. Click here for details or call our registrar at (718) 638-5660 for more information. Click the button below to view our 1-pager with more details on the programming. To register, please fill out the form by clicking the button below. Completing this form does not guarantee enrollment! All classes are subject to enrollment. We are excited to offer some new courses this Spring, in addition to our core curriculum of classes. Students will study and learn rhythms combining the use of drums and the percussive dance style known as "stepping". Students will learn rhythms using acoustic drums in a drum ensemble style. The instrumentation will include snare drums, floor toms, cymbals and light percussion. In the Broadway Dance course, students will be taken through a variety of different styles and time periods from Broadway shows both past and present, from classics like Grease to current hits like Hamilton. Lyrical dance focuses on conveying emotion and storytelling through dance, while keeping a strong technical base. Please note: By filling out the registration form, you are not guaranteed a spot for the ARY program; entering a submission does not mean your child is enrolled. Once you receive confirmation from the ARY Team you will know whether or not you are enrolled.Do note that entering a submission does not mean your child is enrolled. For Fall 2018 there will be a few days depending on the school where no after school pick-ups will be available. For a full list and to see which days apply to your and your school check back the last week of August 2018. PLEASE NOTE: private lessons are separate registrations from the ARY program and, unless it is a school closure (snow day, major holiday, etc) private lessons are still on as scheduled even if your school has a half day or ARY is off that day. Some schools have half days and we don't do pickup for them but private lessons will still go on as scheduled. By enrolling you agree to the following terms and conditions. Students or parents requesting withdrawals before the third week of enrollment will be charged pro-rated tuition for completed classes (including student absences). Registration fees are non-refundable. Refunds may take 6–8 weeks to be processed. The Brooklyn Music School maintains the right to cancel or change classes in accordance with program needs. All classes are subject to enrollment. The Brooklyn Music School maintains the right to terminate the enrollment of a student who does repeatedly violates the BMS code of conduct. Classes must meet Brooklyn Music School's minimum enrollment requirements and are subject to cancellation. There are no credits or make up classes for student absences. You cannot sign up for pick up if you are not signed up for classes. NO EXCEPTIONS can be made to this rule. 1st Period Dismissal: 5:25 p.m.
2nd Period Dismissal: 6:15 p.m.
Once the semester begins you may still enroll for classes and pick up. However, your classes and pick up will begin the week following your initial enrollment. Since our instructors are also professional musicians, they may not be able to complete a class for the entire term. We will always have a skilled and professional teaching artist substitute when needed. For half days or full days that are not regularly scheduled we do not provide pick up due to scheduling conflicts. You will not be charged for pick up on these days. The list of these days is provided below. For half days or full days that are not regularly scheduled we do not provide pick up due to scheduling conflicts. You will not be charged for pick up on these days. The list of these days is available on our website.